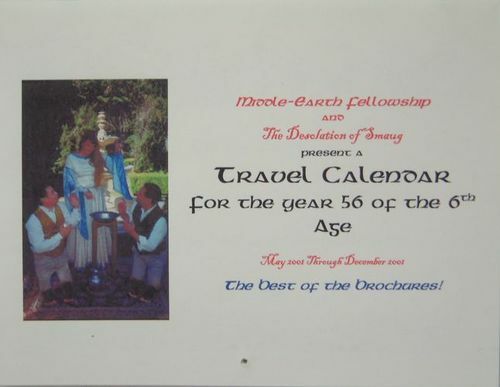 "Middle-earth Fellowship Travel Calendar for the year 56 of the 6th Age” Published by Desolation of Smaug Productions and the inimitable Daniel Smith (aka Lotho Sackville-Baggins.) 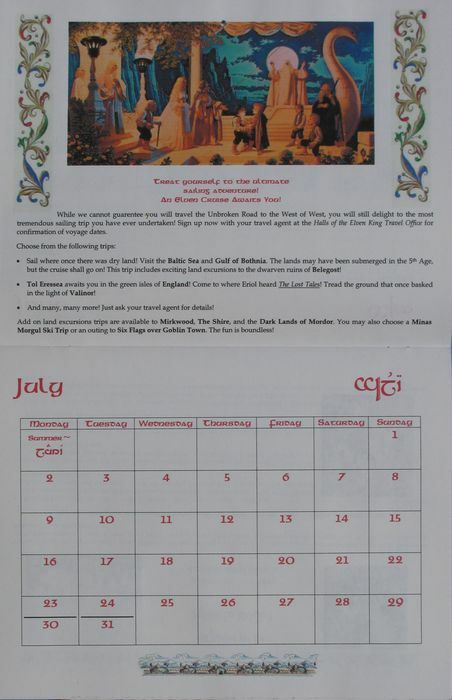 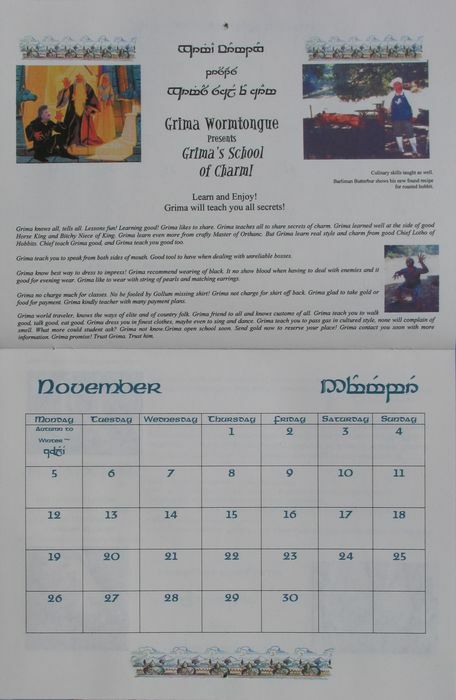 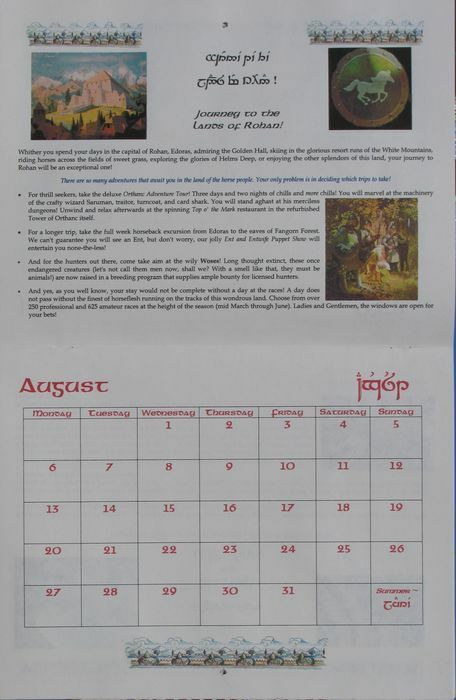 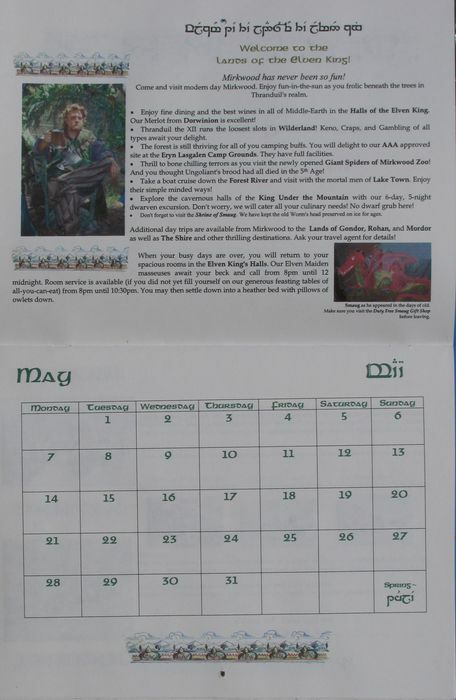 This is one of the rare humorous Tolkien calendars in my collection (on par with the humorous and rare "1990 NOT Tolkien Calendar" from the Mythopoeic Society.) 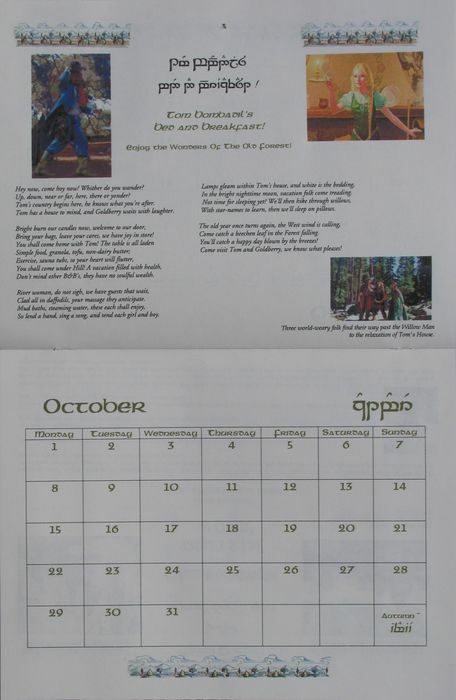 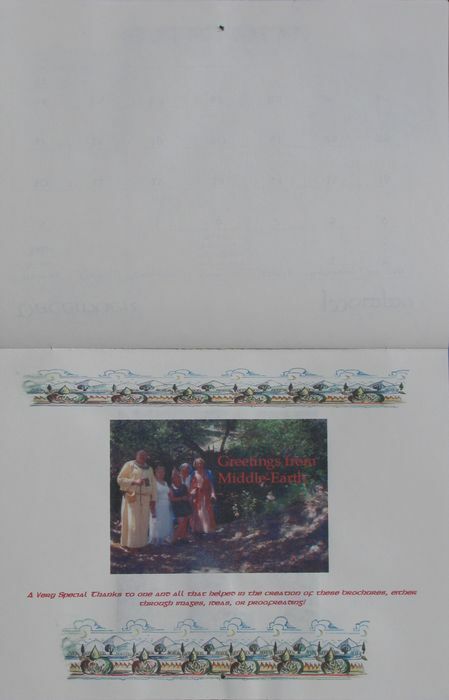 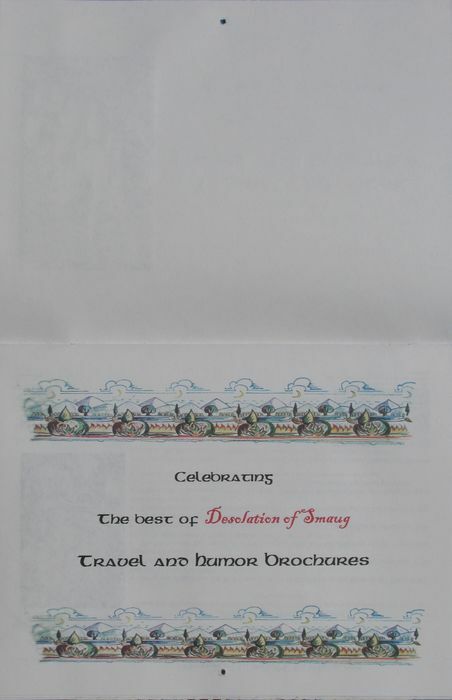 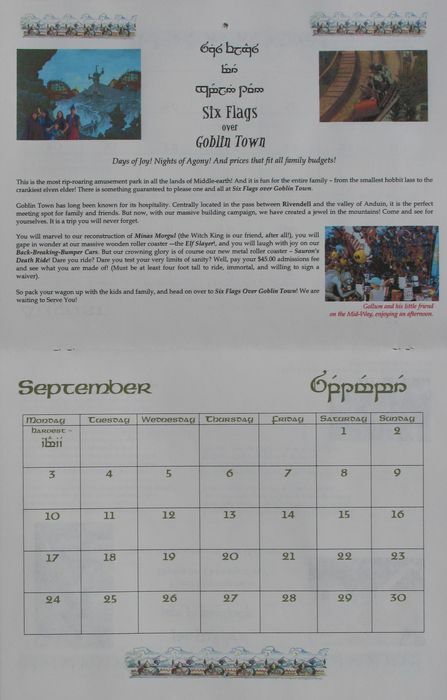 It is Mr. Smith at his best as a compilation (in calendar form) of the travel brochures that he had produced for the Middle-earth Fellowship. 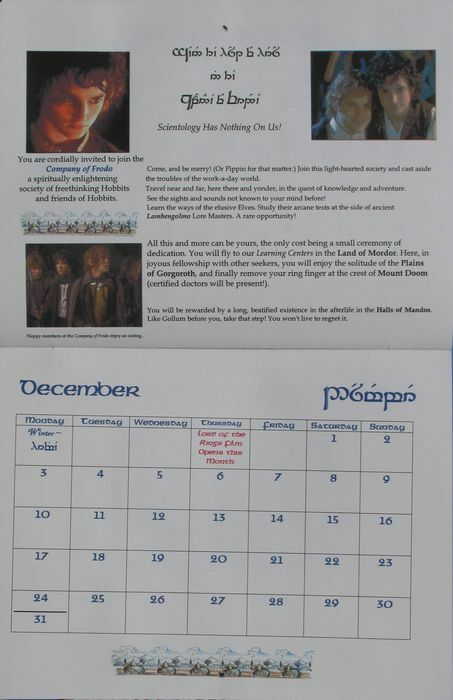 For example: Tom Bombadil's Bed and Breakfast, Six Flags over Goblin Town, and Grima's School of Charm! 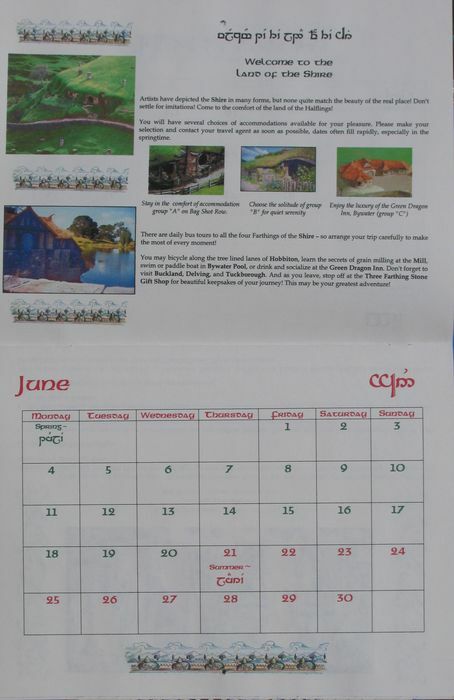 May through December 2001.